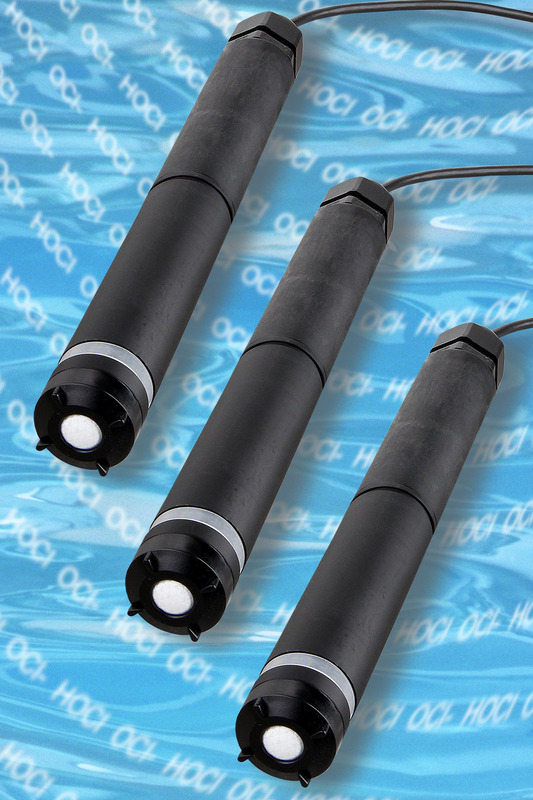 Sensorex’s FCL Series free chlorine sensors use amperometric measurement technology to provide highly accurate monitoring of free chlorine in process applications. FCL sensors are suitable for use in drinking water disinfection and distribution applications, and are compliant with EPA method 334.0 for measuring drinking water. They are also well suited for providing accurate free chlorine monitoring in cooling tower water, an important application for industrial water treatment system providers. With three models available covering the 0-2ppm, 0-5ppm and 0-10ppm ranges, the FCL Series meet a broad range of performance requirements. Its membrane design features a mesh reinforcement clamp for increased stability and added durability. The integral 4-20mA isolated signal output is enhanced to eliminate ground loop errors, reduce noise, and block high voltage transient surges. For real-time free chlorine monitoring, FCL Series sensors interface directly with PLC, SCADA and other process control systems via the standard 4-20mA output. A large electrolyte reservoir with an easy-to-replace membrane cap and electrolyte solution reduce maintenance intervals and maximise sensor life. A specialised acrylic flow cell (FC72) is available to provide a controlled flow environment for measurement stability.